Comment of the Week award has to go to collector Dan Brunetti. His jewel? Dan is working on assembling an autographed 1979 Topps set. In the fall of 2013, Jim Beattie closed his Vermont P.O. Box. 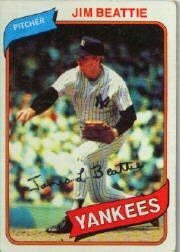 No one has gotten TTM successes from Beattie, or a current address since, according to www.sportscollectors.net postings. Dan’s online searching found that Beattie was scouting for the Blue Jays. Dan e-mailed the team, asking if they’d forward a letter. Baseball scouts travel. Writing c/o a team makes sense. One past theory asserts that som coaches and scouts may still have the idea of autographs as being a work-related job. If you support the guy’s employer (team), he’ll support your hobby. In other words, they feel they’re getting paid during the season to be fan-friendly. Of course, current and former baseball personnel may ignore all the mail, packing their piles of correspondence home for the winter. For the off-season, seek a home address. Harvey Meiselman’s address list remains the gold standard in our hobby. Team front offices can seem like wastelands. If you get forwarded, it may not be fast. Different addresses may work at different times. Be creative, and compare notes with other collectors. I asked Harvey Meiselman for news about his 2014 Baseball Address List, as well as his own year as a collector. Here’s his reply. Q: How up to date will the 2014 address list be? A: I processed my address database with the Post Office on December 6th with their National Change of Address Update Service and then processed all of the changes that came back. When that was finished I started to put all of the address lists together for the printer and got the print files to the printer on December 12th. I received my first supply of printed lists this past Friday, December 20th, and today I’m starting to pack orders which will be mailed out on January 11th. So, you see, that I have a much shorter time lag in having my coil bound lists produced vs Smalling and his printed soft covered book. My lists will be much more up to date when I deliver them than Smalling’s are, which I estimate are sometimes 3-4 months behind. From the time I finish processing my address database to putting the print files together and getting the initial address list order printed and delivered to me is less than two weeks. I’ll estimate that there will be about 20 or so deaths in baseball, football and hockey noted in the list from the first week or so in December. Plus, what I usually do in January is send out an email to all my customers that will include all of the changes in address (either address updates or deaths) that have happened since I sent my files to the printer so are not updated in the actual printed list. Those will be sent out around January 20th or so. Q: You’re not just an address publisher, you’re a fellow collector. Do you have one TTM success to inspire us into the New Year? A: You know how I love to track the really obscure ballplayers that just don’t want to be found by autograph collectors? 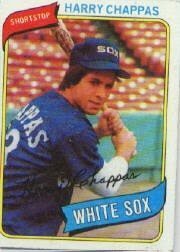 Well, this year my project was Harry Chappas who broke in with the White Sox in 1978. I finally tracked him down in, of all places, Boynton Beach where I live. I’ve had three successes at his mailing address so far personally and met him for coffee a few times and discussed autograph collectors and the memorabilia field. He told me that he receives a ton of letters that include 10 or more items to be signed and he got to feeling that they were going up on eBay to be sold. Needless to say, he trashed them. I’m pretty sure I convinced him that most collectors are not like that and he probably will be signing requests with one or two items, not ten. Harry Chappas is on everyone’s want list. Thanks to Harvey. I hope we’ll all be as bold in our collecting in 2014. Get in the habit of including in your letter WHY you want that one person’s response. If you don’t, they might assume the worst. Set a good example, and you’ll keep the line of communication open for all of us. Tell the non-collectors who want to buy you a December present what you really want — ways to take your collection to a new level! 1. The 2014 Baseball Address List — Address king Harvey Meiselman starts shipping in January. Tell the gift givers this is worth waiting for. Home addresses of everyone who debuted from 1930 through 2013? Swoop on this, Santa! 2. A www.sportscollectors.net membership — Members post good and bad (invalid) addresses. 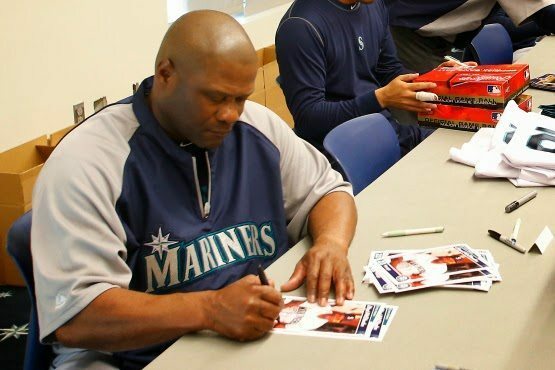 Imagine getting detailed notes of someone’s signing habits for the last 15 years. A forum gives you access to many of the top collectors in the hobby. I get my hobby questions answered immediately. All for $14.99 for one year. Are there gift options for $10 or less? Oh, yeah! 1. Stamps: Love those FOREVERs. 2. Basics: Paper, envelopes, pens. Don’t forget return address labels. They don’t have to attend a hobby show or learn a foreign language to get you something that you’ll love throughout 2014. 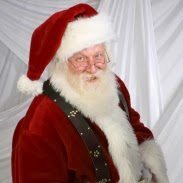 Readers: what would be your best gift suggestions or requests? And, what’s been the best hobby-related gift you’ve ever received?